The rift between the Executive and the Legislature worsened yesterday. Barely 24 hours after lawmakers gave the marching order to President Muhammadu Buhari to act on the resolutions reached at a joint session, which included a call to contain the killings across Nigeria and protect citizens’ lives and property or risk impeachment, they again took on the executive over suggestion that the anti-open grazing laws in Benue, Taraba and Ekiti states be suspended. This came even as the three states dared the Federal Government as they vowed not to go back on its implementation. Minister of Defence, Mansur Dan-Ali had in a statement signed by Colonel Tukur Gusau at the end of a security meeting, chaired by President Buhari on Tuesday, suggested the “need to employ other channels with the affected states to reduce tension by suspending the implementation of the Anti-Open Grazing Law while also negotiating safe routes for the herders. “There is need to employ other channels with the affected states to reduce tension by suspending the implementation of the anti-open grazing law while also negotiating safe routes for the herders,” Tukur Gusau, Dan Ali’s spokesman, quoted him as saying. It was part of the resolutions reached at the security council meeting attended by all the security chiefs. The anti-grazing law is already operational in Benue, Ekiti and Taraba states. The three states have vowed not to go back on its implementation. The senate backed the anti-grazing Act, as it said like the National Assembly, state Assemblies have the right to make laws for state governments under the Land Use Act of 1977. 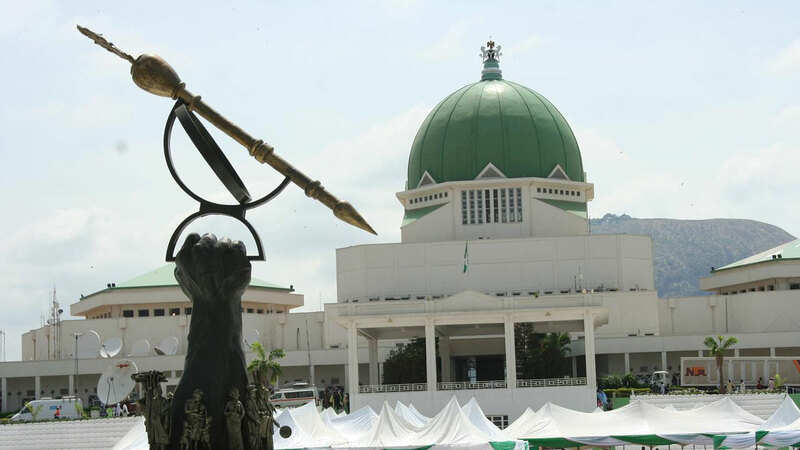 The decision of the Senate followed the adoption of a motion sponsored by Senator Barnabas Gemade, who argued that the passage of the laws in some states has not contravened the constitution of the country. His position was supported by John Enoh who argued that the killings had been going on for years before some states passed the bills into law. “If killings have been going on for over seven years, I don’t think going against anti-grazing laws will be the solution. It is unfortunate that after a security meeting, the only solution they could come up with was a ban on anti-open grazing. Emmanuel Bwacha (Taraba State) said Zamfara State where the Minister of Defence hails from did not have any existing anti-open grazing law but has the highest number of killings carried out by herdsmen. Like the Senate, the House of Representatives also kicked against the suggestion that the anti-open grazing law should be suspended. At plenary yesterday, the House wondered why states should be asked to suspend a law duly enacted. Following a matter or urgent public importance raised by John Dyegh (Benue), the lawmakers resolved that the call to suspend the law was unnecessary. Contributing to the debate, Nkiruka Onyejiocha (Abia) said the minister’s recommendation was uncalled. She also argued against the idea of colonies. Meanwhile, goverrnments of Ekiti, Taraba and Benue states have vowed to implement and defend the anti-open grazing law. In separate reactions, the states reminded the Federal Government of the right granted them under the Constitution to make law for the wellbeing of their individual states. According to Ekiti State Governor, Ayodele Fayose, the Federal Government lacked the power to suspend or abrogate the law enacted by the state government to prohibit open grazing of cattle in the state. Fayose who spoke in Ado-Ekiti through his Chief Press Secretary, Mr. Idowu Adelusi, hinged his submission on the fact that the constitution empowers the governor as the chief security officer to make laws for the good of the state through the House of Assembly. “On this subject, the Federal Government has no control and cannot interfere. This is a matter of law. I want the Federal Government to know that we are operating a democratic system and that we are not in the military era when the government is run by decrees and fiats. “Those in the Federal Government contemplating to suspend a law enacted by the state can only be appointed by a quasi military government and not a pure civilian government. “Thousands of farmers and other innocent people have been killed by Fulani herdsmen since January in Benue, Taraba, Adamawa, Nasarawa, Plateau states among others. Thousands of people have been displaced. Millions of naira worth of properties destroyed. The killings have become daily occurrence. “The Muhammadu Buhari administration does not have any solution to it. The Federal Government should find solutions to the problems and not try to reverse the gains we have recorded in Ekiti State and which is being replicated by other states where the leaders have the interest of their people at heart,” he said. Reacting, Taraba State Governor Darius Ishaku reiterated that the open grazing prohibition law that came into effect in the state on January 24 has come to stay and no pronouncements can upturn it. In an exclusive interview, the Senior Special Assistant (Media) to the Governor, Mr. Bala Dan Abu accused the minister of acting without proper understanding of the issues. “I must say that the minister is ill-informed. He does not seem to understand the issues at hand properly and that explains their inability to resolve them. Herdsmen attacks predates this law. These herdsmen have been killing people for the past seven years or thereabout. This is what necessitated this administration’s decision to come up with this law. “The law as it is now is meant to stop the killings. If herdsmen no longer wonder into people’s farms to graze on their crops, the crisis would be reduced greatly. The instances of cattle rustling would also reduce as it would become easier to secure the cows. “So, if the government is blaming the wanton killings on the law, what about the states that do not have the law and yet there is just as much attacks and killings? Is it the law that is causing the killings in Zamfara, Plateau, Kogi and all the other states across the country where open grazing is not prohibited? “I would not want to say that the Federal Government has ulterior motives but I think they lack a proper understanding of the issues here, and that explains their inability to tackle these issues. “In any case, this law was duly passed by the state Assemblies of the respective states and so it’s only through the instrumentality of the Houses of Assembly that the law can be repealed. And Taraba State is not ready to do that as the reasons for law still remain valid,” Gov Ishaku concluded. In a swift reaction, however, the state chairman of Miyetti Allah, Alhaji Sahabi Tukur described the decision by the Federal Government as long overdue. Tukur, who alleged that the law was actually providing a shield for people to commit crimes and blame it on the Fulani called on the Federal Government to empower the traditional rulers and institutions to checkmate inflow and outflow of people within their chiefdoms and in doing so, control the security situations there. In his reaction, former Nigerian Envoy to the republic of Cameroon Ambassador Emmanuel Njiwa said the call by the Federal Government was not only unnecessary but malicious, noting that the states have taken positive steps towards developing livestock production and checking killings, which no one should try to stop. The House of Assembly, in a resolution read by the Speaker, Terkimbi Ikyange, condemned Dan-Alli’s statement and called on him to resign his appointment with immediate effect. In a motion moved by the Majority Leader, Benjamin Adanyi, the House described the minister’s statement as unfortunate and unacceptable. In a related development, Commissioner of Information and Orientation, Lawrence Onoja (Jr.) urged Nigerians and the international community to compel the Defence Minister to prove to Benue people that he had no scores to settle in the crisis or playing a script of some unknown people. “Why has the Minister of Defence not made a single reference to the plight of the 180,000 Benue indigenes taking refuge in eight IDP camps in Benue? These people are Nigerians who deserve to have a sense of belonging in Nigeria. “Most of these people are farmers who could not go back to their farms for fear of being attacked by herdsmen who are still carrying out sporadic attacks on Benue communities, as we speak. The Senate has set up an Ad hoc committee, to investigate the authenticity of a report by Amnesty International, wherein soldiers were accused of asexually violating women in North East. However, the Presidency said it has no comment on the threat by the National Assembly to evoke its constitutional powers against President Buhari. When asked what was the Presidency’s comment was on the threat, the Senior Special Assistant to the President on Media and Publicity, Malam Garba Shehu, declined. “No, we will not comment,” Shehu retorted while fielding questions from State House Correspondents after the Federal Executive Council meeting presided by the president. The minister has just spoken the mind of the presidency and since this state law is neither the cause of the killing but aimed at curtailing the killings, it therefore means neither the presidency nor his team has a clue about how to protect the citizens and that is tantamount to protecting the killers. But, we may vote Buhari back into power in 2019 to continue the protection of the killers thereby allowing more killings as an allege manifesto. To whom is the president protecting, Miyati Allah and his group of company or the citizens? Sharia law was created by states, OBJ could not stop it as it was a state legislated affairs, so why should these states suspends a legislation aimed at protecting his own. In my opinion, all other states, had rather pick up this anti open grazing law. HE WANT TO SUSPEND ANTI-GRAZING LAW TO GIVE HERDSMEN MORE POWER TO BE KILLING INNOCENT CITIZENS…OF NIGERIA.. WOO BE TIED YOU HERDERS….